Following a crash during the ABC Supply 500 at Pennsylvania's Pocono Raceway on Sunday, IndyCar driver Justin Wilson has died from a head injury. Wilson was airlifted to the hospital after he appeared to have been struck with debris from driver Sage Karam's car in the final laps of the race. Wilson was in a coma and in critical condition up until his death. "Anyone who follows our sport knows Justin is one of the most highly respected people in our business. 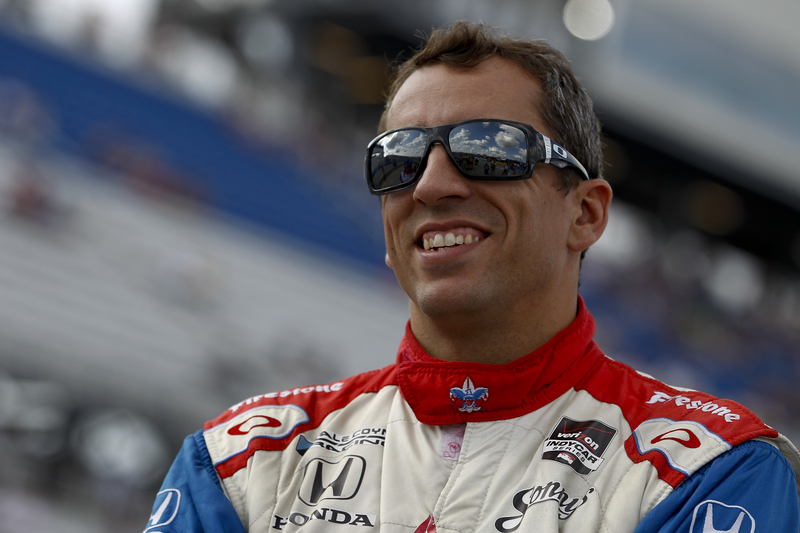 He will be missed," IndyCar CEO Mark Miles said when he announced Wilson's death. IndyCar released the announcement at around 9 p.m. ET on Monday. This is a monumentally sad day for IndyCar and the motorsports community as a whole. Justin's elite ability to drive a race car was matched by his unwavering kindness, character and humility – which is what made him one of the most respected members of the paddock. As we know, the racing industry is one big family, and our efforts moving forward will be focused on rallying around Justin's family to ensure they get the support they need during this unbelievably difficult time. Wilson, a 37-year-old father of two, was a native of Sheffield, England, who lived in Longmont, Colorado. According to The Indianapolis Star, Wilson had competed in American open-wheel racing since 2004, and during this season, he competed in six races for Andretti Autosport. During Sunday's race, Karam was leading when his car started to spin of its own accord, and a piece of the nose of his car appeared to hit Wilson in the head. Wilson then seemed to lose control of his car, causing it to veer directly into an interior wall. The Star reported that unlike Wilson, Karam was able to leave his car on his own; though shaken, he walked to an ambulance and transported to a hospital to receive treatment for a foot injury. Wilson has always been popular with fans. In 2003, when Wilson competed in 20 Formula 1 races before moving to the United States, hundreds of people bought shares in him when his management team formulated a program through which fans could invest in his career. Wilson had seven major U.S. open-wheel wins, including three in the IndyCar Series. His most recent win was in 2012, at Texas Motor Speedway. He is the first IndyCar Series driver to die since 2011, when Dan Wheldon died from a massive head injury at Las Vegas Motor Speedway. However, this is not the first time debris has posed a threat during the current season. This is IndyCar's first time using aero kits with multiple pieces, many of which will fly off after even the slightest contact. During the season opener in Florida, a woman in the stands was struck by flying debris from one of the cars. A highly respected driver and individual, Wilson will clearly be missed.